Present financial comparisons of all of the student loan repayment options including standard term and all Income Based plans: REPAYE, ICR, PAYE, and Extended repayment. Import your client’s student loan data direct from the NSLDS site. Create income based repayment plans based projected income and other factors. The software and our advisor training programs help you target an audience that needs help choosing their repayment plan and modifying it as their finances change. 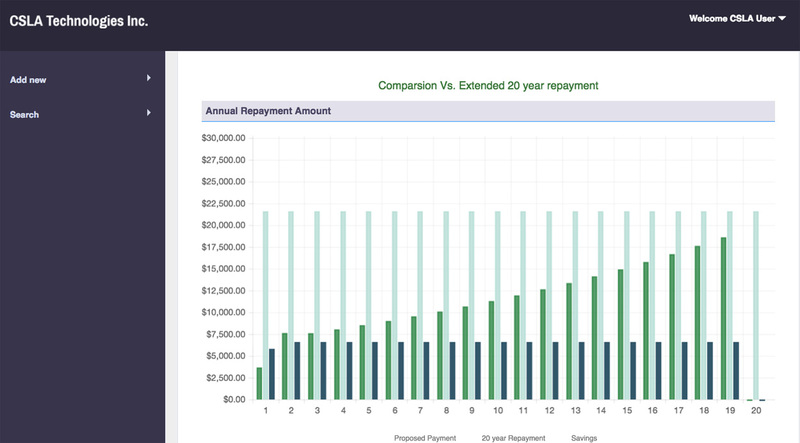 Use the analysis and comparision features to help your client implement their ideal repayment strategy based on income and other factors. Calculate the tax effects of a loan forgiveness option. Cloud based software allows you to advise clients by phone, in your office, or anywhere you have an Internet Connection. Use this with our knowledge-building student loan advisory training program. 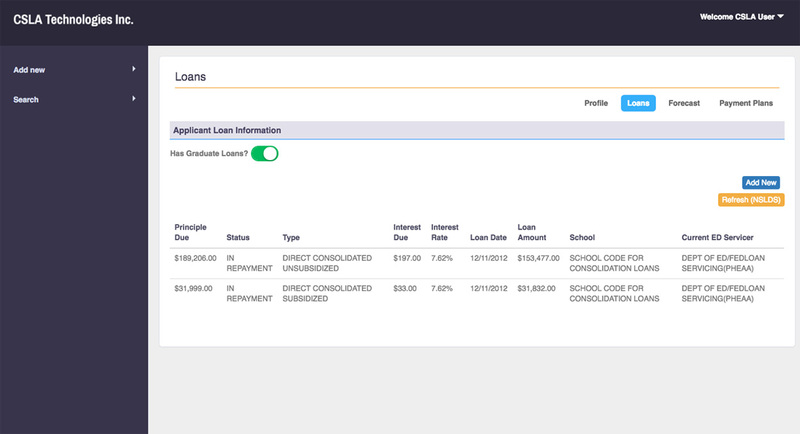 Make student loan analysis easy using the loan data import feature. Get all of their current student loan data direct from the NSLDS web site. Refresh the data on demand. 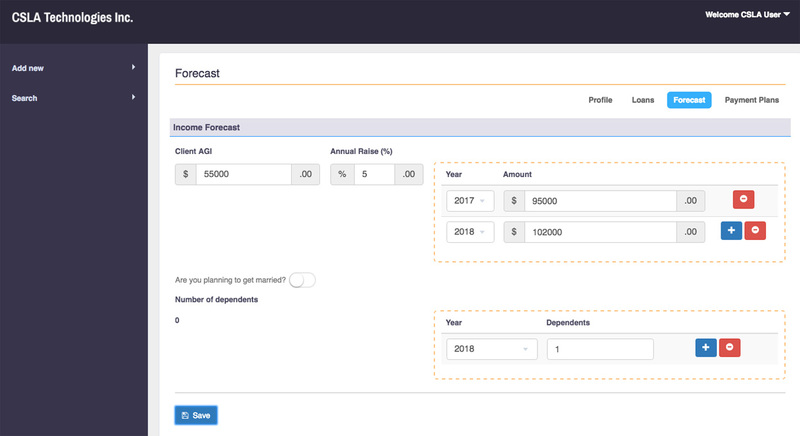 The repayment analysis system allows you to enter income and other financial forecasting data. Projected income entries for future years and family planning numbers help you provide more accurate repayment plans. We’ll send you more details about product release time and how to get in the beta program.